The award-winning author talks to Shelagh Rogers about writing a novel around a true series of violent events against women that took place in a Mennonite community. For author Miriam Toews, her Mennonite faith is both her reason for being and for writing. 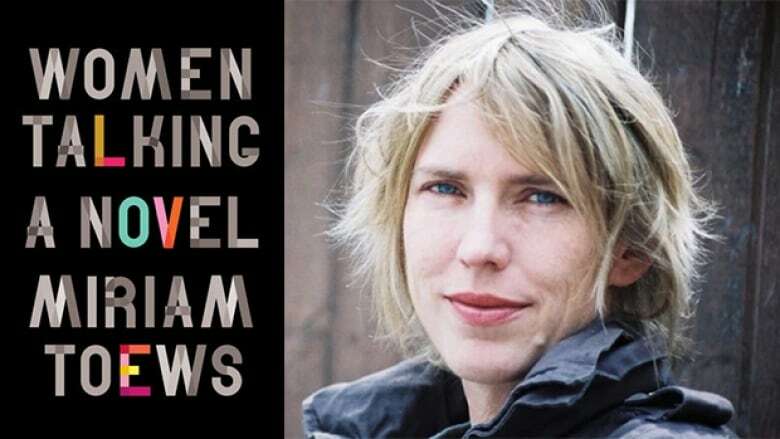 Women Talking, Toews's follow-up to her critically acclaimed novel All My Puny Sorrows, is about eight Mennonite women who have 48 hours to make a decision that will impact every woman and child in their community. Women Talking is currently nominated for the 2018 Governor General's Literary Award for fiction. "The Mennonite community is an ultra conservative one. Between 2005 and 2009, the women and girls in the Manitoba Colony in Bolivia were waking up realizing they had been violated in some way while they had been sleeping at night. They eventually started talking to each other and sharing stories about what had happened to them. The male leaders in the colony believed the women were making up these stories or that the attacks could be attributed to demons. The attacks came to be known as ghost rapes, as a punishment for sins such as lies or adultery. "Eventually two of the perpetrators were caught and then several others confessed. And, of course, it was local Mennonite men, not demons. These are self-policed colonies but in this case, the Bolivian police were called in. The men were arrested and tried and put in prison." "There are beautiful aspects of the Mennonite faith. However, there is an element of control, guilt and the dehumanizing of women. In this isolation, men can often treat women like second-class citizens." "I was horrified and saddened, but I was also so angry to hear about these events. This is my community and these are women I could picture and understand. I was thinking about them and the trauma they experienced, what these attacks did to their their psyche, what it means to go on living in a colony in that in that culture. So I explore those questions in the book." Miriam Toews's comments have been edited for length and clarity.